So this is my sketch, which I did in front of the children. So they get the fact that there was no preparing of parts for this event.. So I cut it down the middle, then cut an end off. 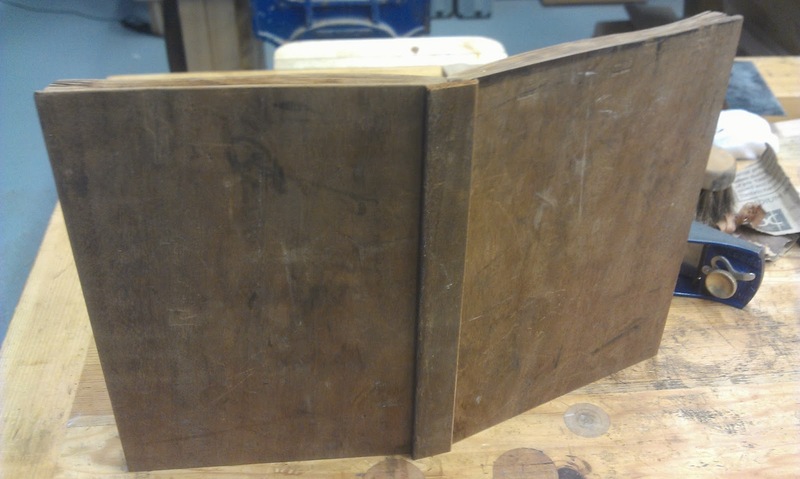 Then started shaping the inner parts of the pages. After the shaping..the piece was cut in half down the length, then set out on the bench as above. 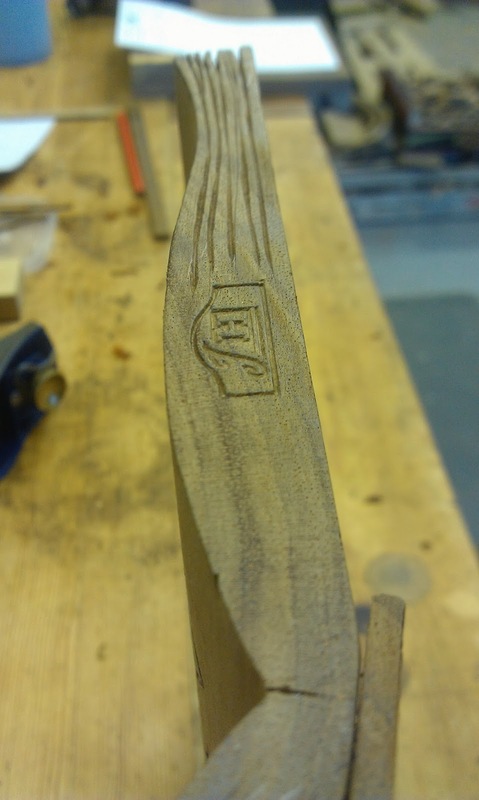 Around lunchtime, after showing how I was working the timber, and allowing students to have a go at carving some wood. I was done on the first side. 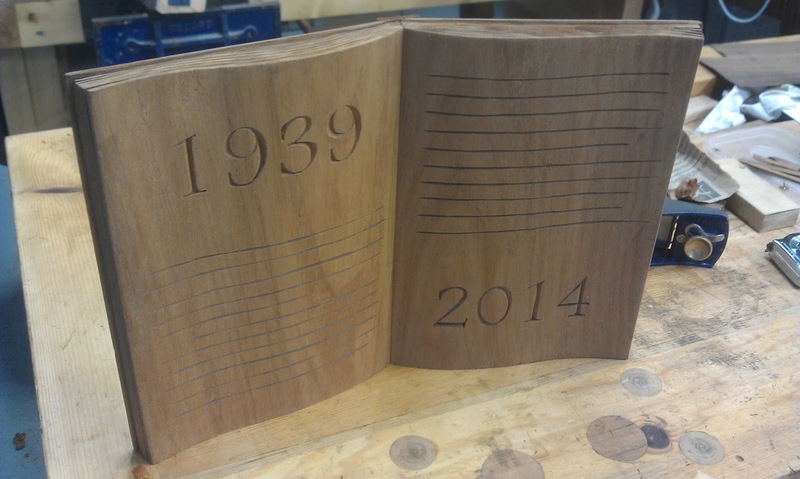 With the 'lines' carved out to represent each persons 'story' through the years between 1939 and 2014. And just so the school could see how it was all going, there was chance at the afternoon assembly to show off the work done that day.. quite embarrassing.. but felt pretty good. I took it back to the workshop, over the next few days I added cuts to resemble pages, with grooves and splits..
An off cut was used to add a spine..
With my stamp..and more grooves. Sealed and waxed, ready to go back to the school. or for a loved one, please contact me for details. Nice work. 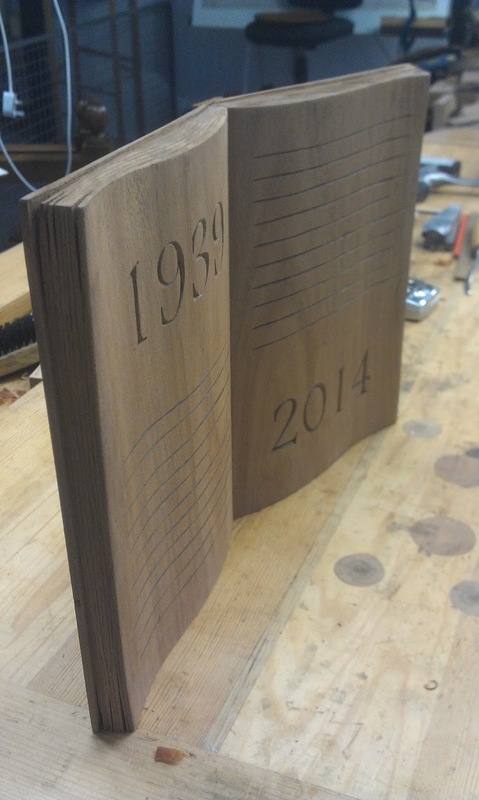 A nice display piece and opportunity to expose another generation to working with wood. Thanks for the comment. The kids loved it, they were so keen to see what can be done by hand, and how it was made. A lovely day was had by all. 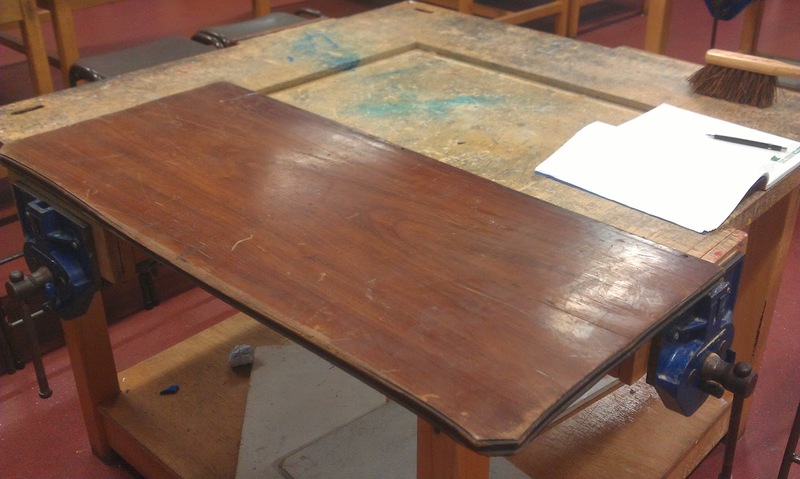 The closest I had to a woodworking class or demonstration in school was when the teacher broke the 1m blackboard ruler across my desk in frustration... What a great experience you've given these students!